A new invention by a 12-year-old in Michigan could offer ballistic protection for officers' faces and necks when they are in dangerous situations such as active shooter response. BulletSafe Bulletproof Vests says Michael Nardone, son of company president Tom Nardone, was 9 when he came up with the idea for the BulletSafe Bulletproof Bandana. Michael says this idea combines his ski mask and the body armor made by his Dad’s company. He and his dad started building prototypes. “It was like Goldilocks, this one’s too big, this one’s too small, this one’s just right.” says Tom Nardone. 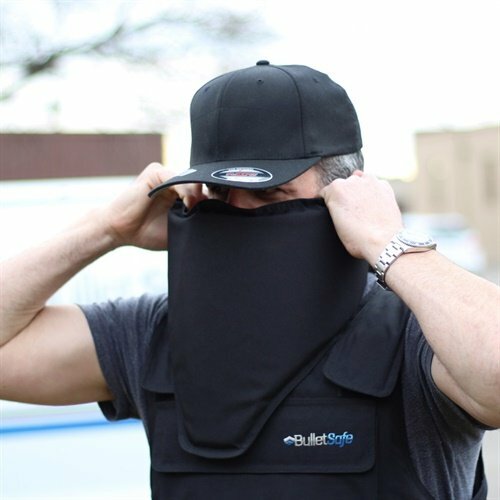 The BulletSafe Bulletproof Bandana weighs 1.8 pounds and is easy to put on, the company says. BulletSafe says the bandana, which is made of the same material as the company's soft body armor, will stop almost all handguns rounds including a .44 Magnum. It is now in production and lists for $129. The Nardones hope police officers keep these bulletproof bandanas handy and deploy them under dangerous circumstances. BulletSafe also plans to show the design to the U.S. military.